IE have taken the IPM Cog Awards by storm this year, picking up a couple of silvers for work with Road Respect’s SpotRoadi summer campaign in both the Innovation and Experiential and Events categories. The 42 day consecutive tour hit key areas of the North East with Road Respect’s promotional vehicle Roadi and bespoke Oculus Rift driving experience. During the tour visitors were invited to take part in the Oculus Rift experience which rewards points for safe driving, with scores being uploaded to an online leader board and emailed to each participant, as well as sent out via social media to the Road Respect Facebook page. 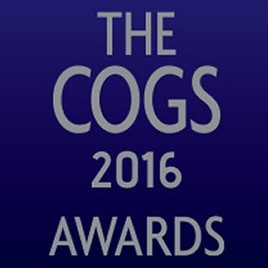 The COG Awards are up there with the best, recognising and rewarding the hard work that print and staffing sectors make in delivering world class campaigns, home grown in the UK. We had a brilliant time and the event and can’t wait until next years, and after taking home two silvers, let’s go for Gold in 2017!